The day is finally here and we are all ready to get together and celebrate, but let's not forget about looking good in pictures! Every year I wear a sort of brown smokey eye because it's easy to pull off and I can get away with skipping my lipstick. This year I'm going classy and opted for Ruby Woo as the key product of my look. El día ha llegado finalmente y ya estamos todos listos para celebrar juntos, ¡pero no nos olvidemos de vernos bien en las fotos! Cada año me haga un tipo ojo ahumado café porque es fácil de usar y puedo saltarme el labial con eso. Este año me iré más clásica y opté por usar Ruby Woo como el producto llave de mi look. I took a mayor inspiration from the Christmas Party Look by Alix (I Covet Thee). 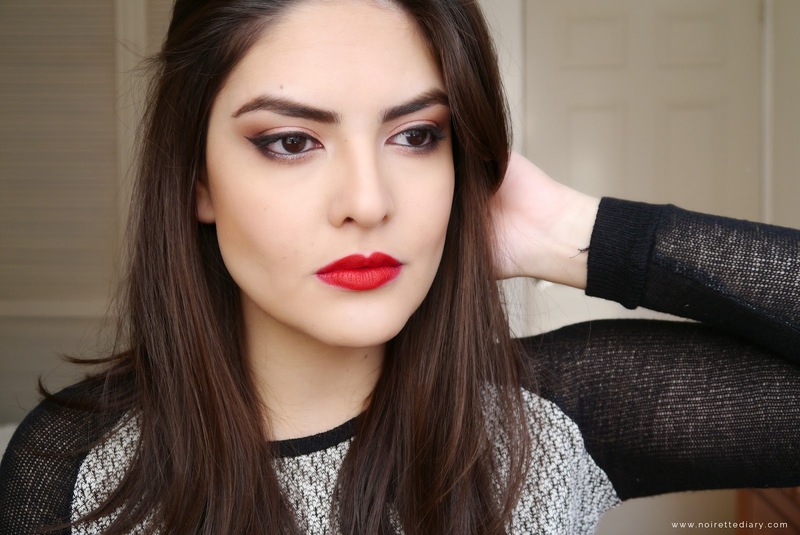 I had never thought of wearing such shades as the ones form the Naked 3 Palette with bright red lips. Turns out I really loved the look so I had to try it on myself, just switching things up a bit to fit it with my style but still keeping very true to my inspiration. 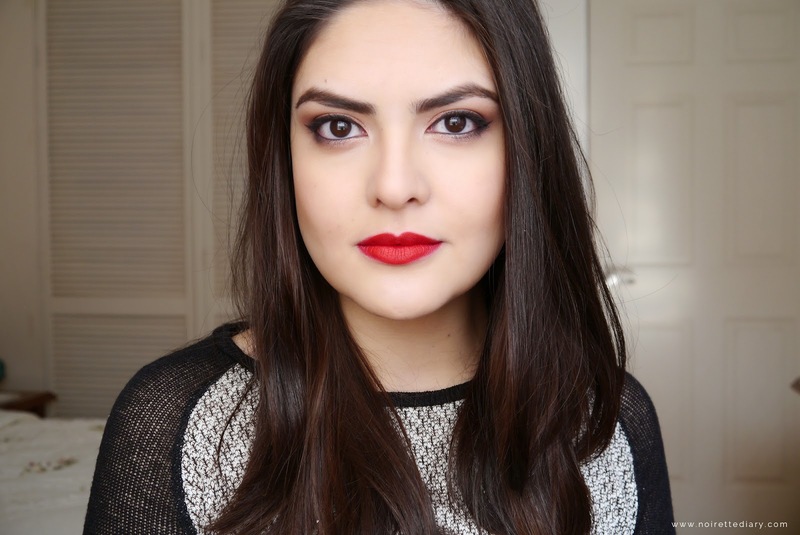 Tomé una enorme inspiración del Christmas Party Look de Alix (I Covet Thee). 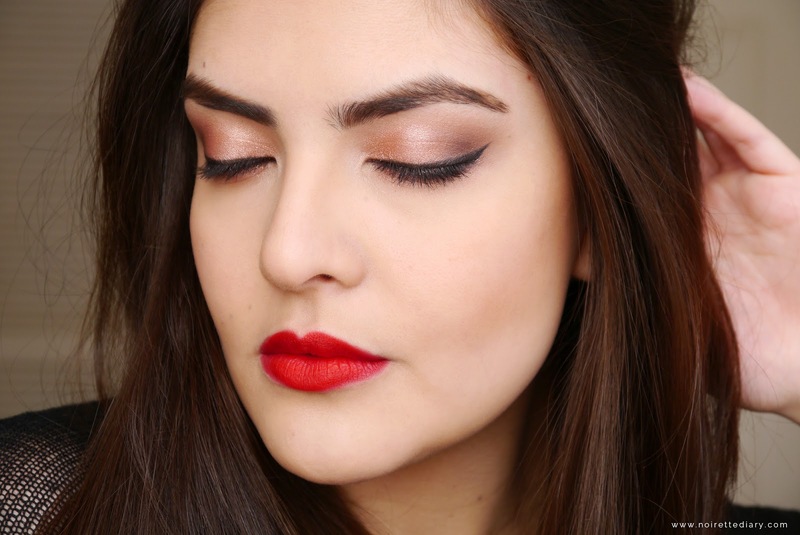 Nunca pensé en usar sombras como las de la Naked 3 Palette con un labial rojo vivo. Me acabó gustando tanto el look que tuve que recrearlo en mí, sólo cambiando un poco las cosas para que se ajustaran a mi estilo pero aún manteniéndome firme a mi inspiración. - Rimmel Match Perfection foundation. - Rimmel Stay Matte Powder. - NYC Smooth Skin Bronzing Powder. - NYX Cake Eyebrow Powder. - Maybelline Color Tattoo Inked In Pink. 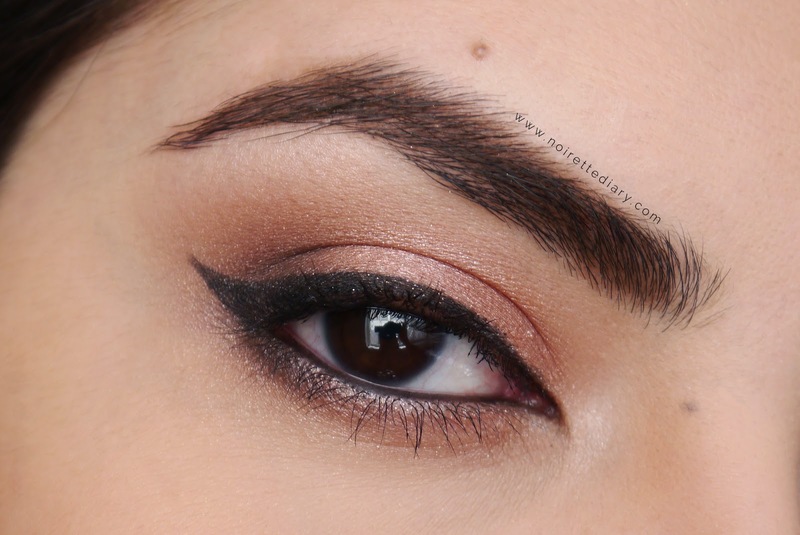 - Naked 3 Palette: Trick (lids and lower lash line/párpados y debajo del ojo), Limit (crease/cuenca), Dust (center/centro), Darkside (upper and lower outer edges/orillas externas de arriba y abajo), Strange+Dust (inner corners and brow bone/orillas interiores y debajo del hueso de la ceja). - MAC Fluidline Gel Liner Blitz And Glitz. - Tarte Lights, Camera, Lashes Mascara. - MAC Ruby Woo lipstick. What are you wearing/did you wear to your Christmas party? ¿Qué vas a usar/usaste para tu fiesta Navideña?